They're flocking up to start their journey south again, as the seasons turn. 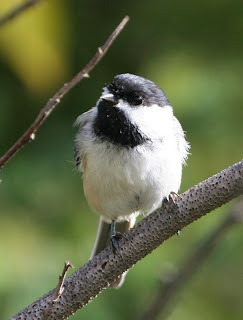 If chickadees visit your yard, too, then you're familiar with the sound of their call ~ as in the title of this post! Anyway, thought I would share a picture. This photo is courtesy of the US gov, and you're welcome to use it however you like. I wish I had a picture of a squawky bluejay for you, too ~ the quintessential sound of autumn around here!